Three’s classes – age 3 by December 31 of the entering school year. Pre-K (4’s) class – age 4 by December 31 of the entering school year. 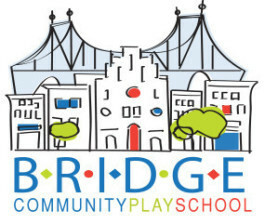 Bridge Community Playschool is a non-discriminatory preschool that embraces the cultural and religious differences of our community and of all children who will attend. Located in the heart of New York City, we are a non-commercial, non-sectarian and non-partisan organization. All admissions are reviewed based strictly on the date your application is received by Bridge Community Playschool. A deposit of $4,125/4 mornings ($4,900/5 mornings) is paid with the return of the back page of the commitment contract. The balance of tuition is paid upon notification by the school, in three additional installments of $4,125 ($4,900) each. We will accept requests for fall 2019 entrance beginning in early September 2018. Open the form on your computer, fill it out and save your changes. Attach and email the completed form to: director@bridgeplayschool.org. In your email message, please include your 1st, 2nd, 3rd choice preference for attending an Open House. Parents are invited to submit an Enrollment inquiry Form (there is no fee) and then sign up to attend one of our open houses. After attending the open house, we encourage parents to come back to visit the school with their child for an informal one-on-one meeting and tour of the classrooms. We limit attendance for each open house, so when you submit your form please list your 1st, 2nd and 3rd choice preference.